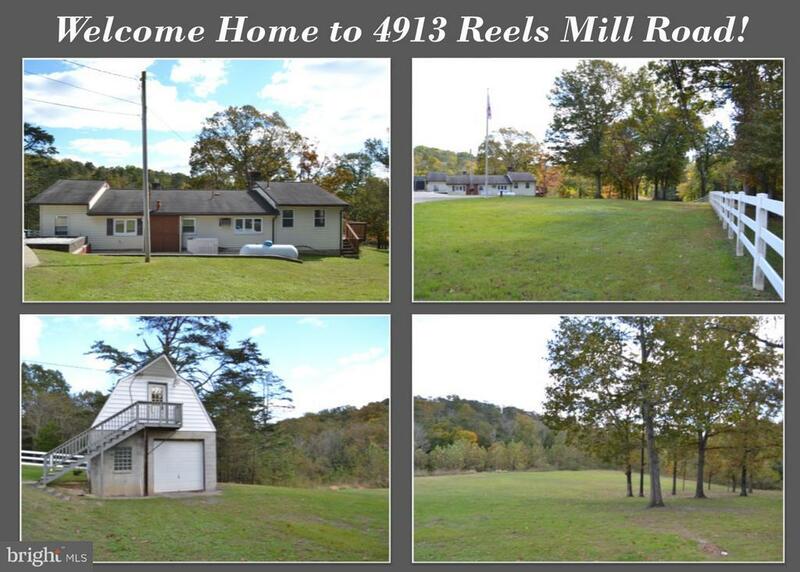 Peaceful 4 bedroom 2 bathroom ranch style home on a beautiful 4.36 acre lot with a quiet stream running through the back. The property features a large concrete driveway with additional parking pad, 2-car carport for covered parking, spacious patio, plus large barn with electric and finished loft. The home offers a large mud room, kitchen with ample cabinet space, family room with wood stove and large windows overlooking the peaceful property, plus a total of 4 main level bedrooms and 2 full bathrooms. An unfinished basement offers ample storage space with ground level walk-out. Schedule your showing of this wonderful property today!